One of the key differences between a conservatory and an orangery is the amount of brickwork; orangeries feature considerably more of it. Like conservatories, however, these elegant structures provide homes with extra living space to be used in whatever way the owner pleases. Create a luxury dining area, a living room orangery, or even a study, the choice is yours. Usually sitting atop an orangery is a stunning lantern roof. 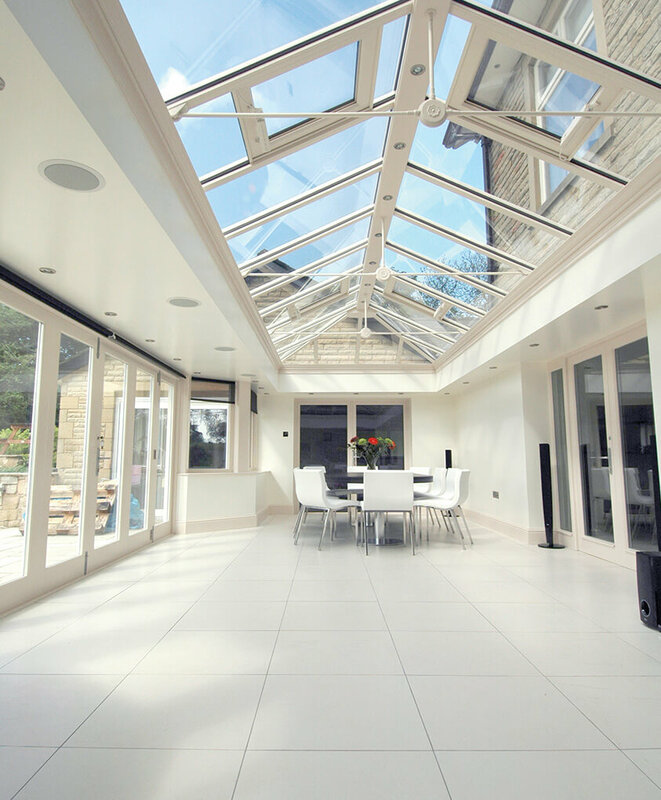 Not only does this provide the orangery with a stylish focal point, but their thermally broken design ensures the build-up of condensation is reduced significantly. When combined with our efficient windows and doors, the structure becomes very well insulated. So, whenever you’re inside, you’ll always feel cosy and able to relax. The interior part of our orangeries feels just like another room of your home. This is thanks to a beautifully plastered pelmet ceiling, which Premier Windows can also fit with recessed spotlights or speakers. Opting for these allows you to create your own ambience via your chosen lighting and sounds. We can also match the orangery’s brickwork to your current property, ensuring the exterior blends in seamlessly with the new surroundings. An orangery from Premier Windows can achieve U-values as low as 1.0 W/m2k, when their design is specified for thermal performance. 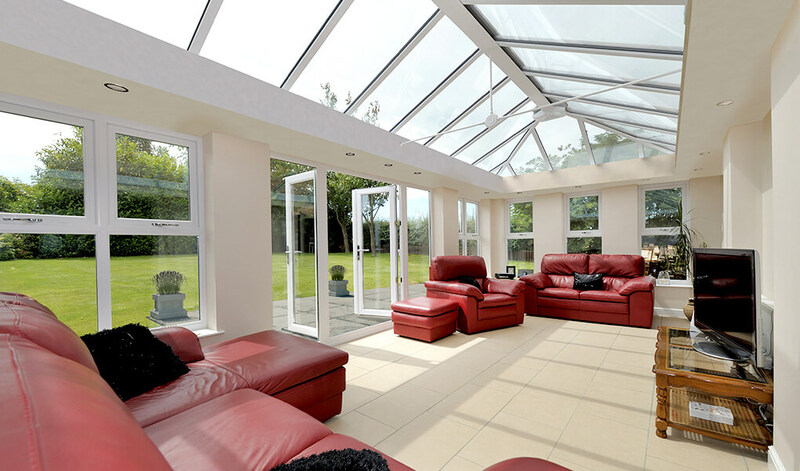 We make and install orangeries to your exact size and style requirements so they are the perfect fit for your home. Choose their windows and doors, the roof, the colour of the frames, the brickwork, and their overall design. 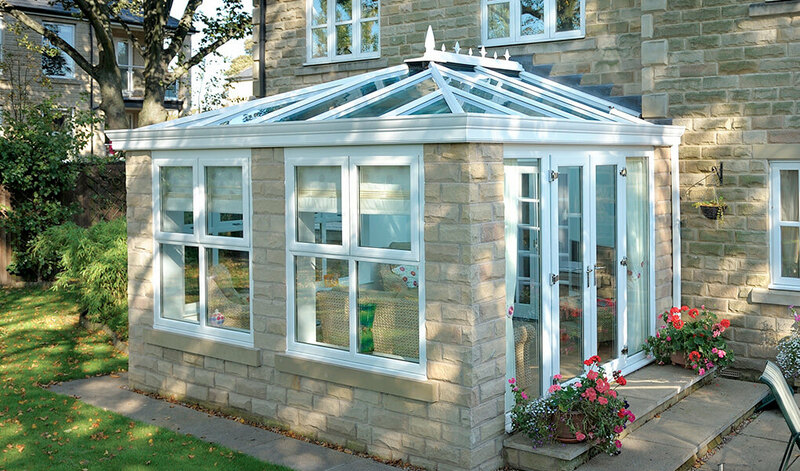 An orangery from Premier Windows comes with a 10-year insurance backed guarantee, but they can easily last for decades. 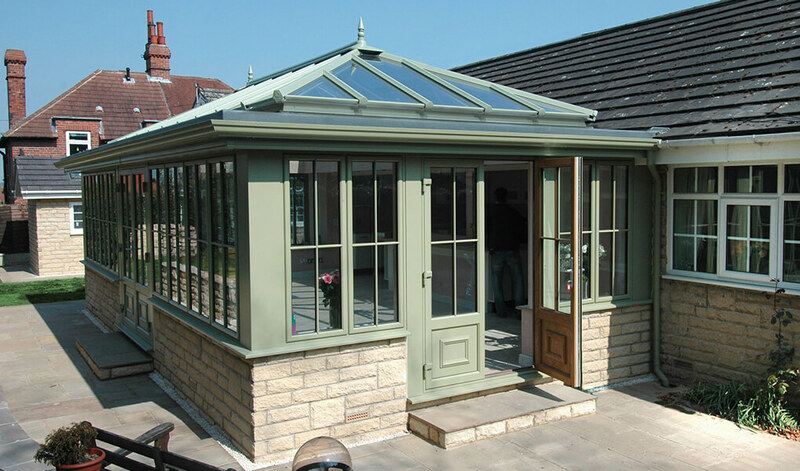 The team here at Premier can apply a selection of different colours to the orangery. This allows you to match its look to existing features on your property or have it look totally different. 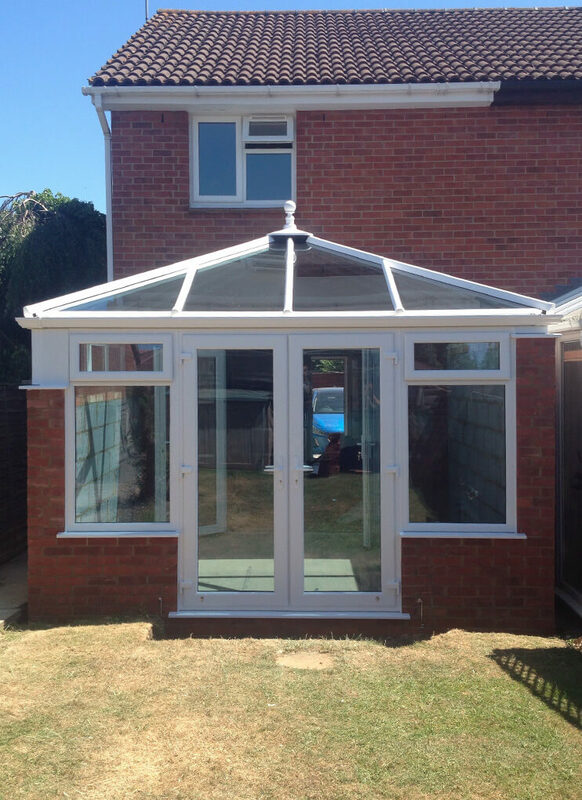 We offer a variety of roofing options for one of our orangeries. Maximise light intake with one of our glass roofs, thermal performance with a tiled roof, or get the best of both worlds with a hybrid of the two. 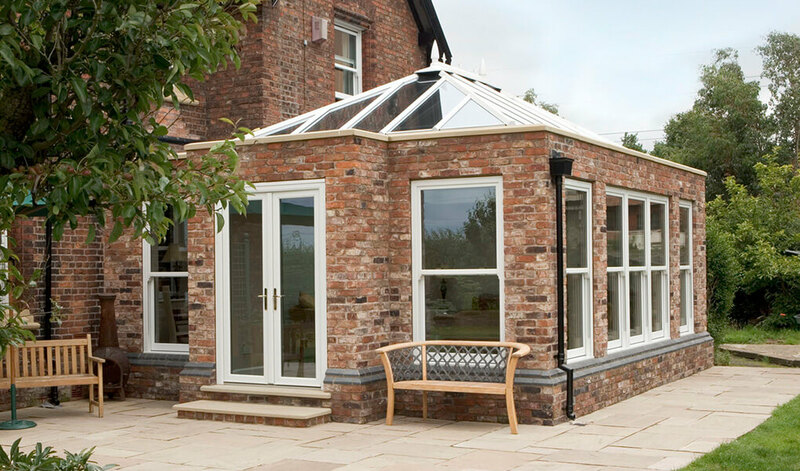 For a huge boost to thermal performance, why not opt to have super-insulated columns fitted in your orangery? Or to conceal the guttering, there's the option of a cornice, which also adds an extra element to the orangeries' external decor.